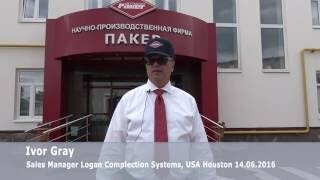 Limited Liability Company Scientific and Production Firm “Paker” was founded. SPF Paker LLC quality management system was certified to comply with the requirements of standard DIN EN ISO 9001:2000, TUV CERT (Germany). The first service center was opened in Nizhnevartovsk, Tyumen region, KHMAO-Yugra. SPF Paker started implementing "Lean Production": 5S, Total Productive Maintenance (TPM), Lean Office. Service centers and representative offices were opened in the following towns: Nyagan, Tyumen region, KhMAO-Yugra; Muravlenko Tyumen region, YaNAO; Leninogorsk, Republic of Tatarstan. SPF Paker LLC quality management system was recertified by TUV Thuringen e.V. (Germany) to comply with the requirements of standard DIN EN ISO9001:2008. 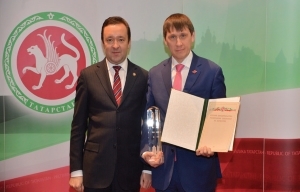 SPF Paker was awarded with the President of the Republic of Bashkortostan award for the 1st place in the sphere of products’ (goods, services) quality in 2011. 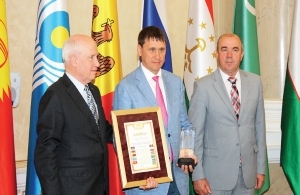 SPF Paker was awarded by the Government of the Republic of Tatarstan with a diploma for achieving significant results in the sphere of quality in 2012. 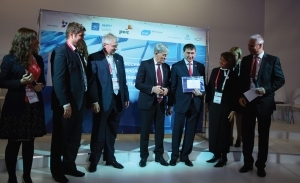 The firm was awarded with a diploma of the winner of the Russian fast growing hi-tech companies rating of the top-30 best companies by "TechUp". SPF Paker was awarded with a diploma of the Russian fast growing hi-tech companies rating of the top-50 best companies by "TechUp-2013". SPF Paker’s director M.M. 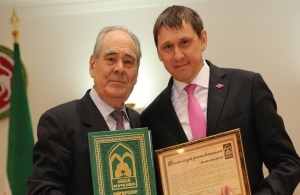 Nagumanov was given a title "MAN OF THE YEAR-2013" according to the version of The Republic of Bashkortostan newspaper for the idea to create the state system of workers’ health protection. SPF Paker’s director M.M. Nagumanov was awarded with a Diploma "Russian Quality Leader" in the contest "Russian Quality Leader". 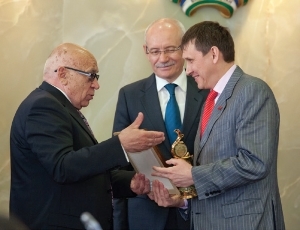 SPF Paker was given a title of Award Winner in the Contest for Prizes of the Government of the Republic of Tatarstan in the Sphere of Quality. SPF Paker was awarded a prize of the Government of the Russian Federation in 2013 in the sphere of quality for achieving significant results in the sphere of quality of products and services and implementation of high-efficiency methods of quality management. 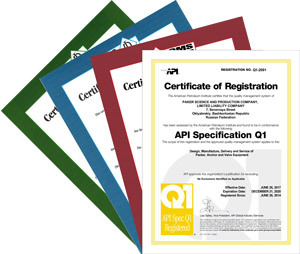 SPF Paker LLC quality management system certification procedure for compliance with the requirements of API Spec Q1 was completed. 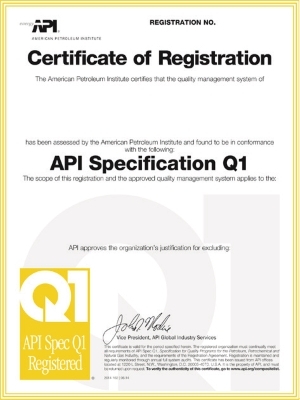 API Spec Q1 Certificate valid from 26 June 2014 through 26 June 2017 was received. 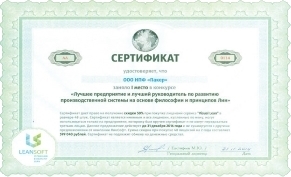 SPF Paker took the I place in the contest "The best company and the best manager in the sphere of production system development based on Lean philosophy and principles"
SPF Paker was included into top-30 largest Russian fast growing hi-tech companies of the 4th national rating "TechUp-2015". On 14 February 2015, SPF Paker was visited by the Head of the Republic of Bashkortostan, R.Z. 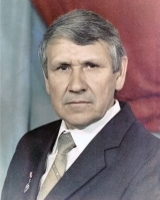 Khamitov. Mr. Khamitov and the officials accompanying him visited most of production and auxiliary facilities. On 28 March 2015, "Technopark" program about SPF Paker production standards was shown on "Russia 24" TV channel. On 13 January 2016, official ceremony for awarding the IV volume of the Book of Charity Providers and Letters of Gratitude of the Republican Fund "Vozrozhdenie" participated by M.M. Nagumanov took place. 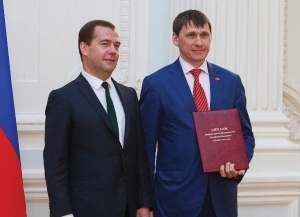 By Resolution of Economic Council of CIS of 18 March 2016, SPF Paker was awarded with CIS 2015 Prize for the achievements in the sphere of quality of products and services in the nomination "Production of industrial products with staff from 251 to 3 000 people." Pursuant to the instruction from the President of the Republic of Tatarstan, Chairman of the Board of Directors of PJSC “Tatneft” R.N. Minnikhanov in order to provide employment for former staff members of CJSC TGC “Urussinskaya GRES”, a joint venture of PJSC “Tatneft” and SPF “Paker” was set up – Experimental Machine-Building Plant “TAPART” (OEMZ «TAPART»). 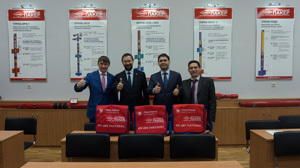 Within the framework of the Board of KFU Trustees meeting with the President of the Republic of Tatarstan Rustam Minnikhanov on the 9th of March, «Lecture room of oil and gas field disciplines» was formally launched at the Institute of Geology and Petroleum Technology, Kazan Federal University (KFU). SPF “Paker” became a partner of this project. 25th anniversary of the company was celebrated. Charity marathon dedicated to the anniversary of SPF “Paker” was held. environmental management system compliance with the requirements of ISO 14001:2015 standard (valid from 21 December 2017 till 21 December 2020). The project of the joint venture OEMZ "TAPART"